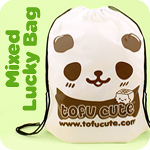 Placing an order online with Tofu Cute is safe and secure. Tofu Cute does not keep any record of your payment details and as you proceed to the payment page, you will be automatically transferred from the Tofu Cute server onto Worldpay or PayPal's SSL secured encrypted server. This means your payment details are turned into a long string of data so complex that no-one could decrypt it, and no-one at the other end will have access to your details either. You’ll see the secure padlock symbol in your browser window. We collect certain basic pieces of information that you give us through the website, to allow us to process your order and provide any necessary aftercare. The details gathered are limited to your name, addresses, email address and telephone number. We do not and can not store credit or debit card details. Tofu Cute will never share your personal information with third parties. We are not in the business of selling data to others, even for a very huge sum of money! We do not send spam. In accordance to the GDPR regulations, you can always access, update or remove your personal data by contacting us or logging in online from My Account. • Padded envelopes - these can be re-used for keeping delicate items safe, or posting items. You can remove the bubble wrap lining to recycle the outer paper-based envelope. • Hard-backed envelopes - you can re-use these, and they are also recyclable with your paper/cardboard. • Cardboard boxes - these can be re-used or recycled, and many of the boxes we use are already made from cardboard formed from recycled post-consumer waste. We mainly use gummed paper tape to seal our boxes (rather than the wider-used plastic tape), which is fully recyclable along with the cardboard. You might even see us re-use Japanese boxes that our stock comes in, for example ramune or Pocky boxes! We also often stuff our boxes with shreddings made from our unneeded snack packaging and paper. • Plastic mail bags - we use these for soft items such as plush. They can be recycled along with your plastic carrier bags (facility available at most UK supermarkets). 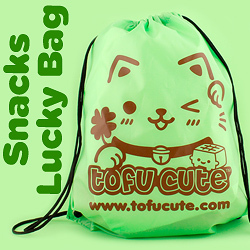 Tofu Cute uses a live stock control system, so product quantities are updated on our website every time an order is made. This means that usually if it says it’s in stock, it is... however, there is an element of error very occasionally! At the checkout you will see the option to choose whether you would like to be contacted if something in your order is out of stock, or if you’d like to let us go ahead and replace it for you, with the most similar item we can find of an equal or higher value than the one you ordered. If you choose to be contacted, you’ll be promptly informed via email/phone and a choice of an alternative product or refund will be offered. Please ensure you enter your contact details correctly at the checkout! We make every effort to represent items as accurately as we can in photos, however as the colour settings vary between each computer screen, some colours may appear slightly different in real life. Also please note we like to be creative with our product photography and include props in the pictures, so please read the product descriptions to find out what’s included with each item. 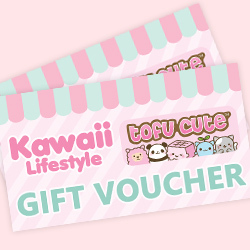 If you can’t decide which Tofu Cute items to purchase for someone, why not give the gift of choice with a Kawaii Lifestyle gift voucher! The vouchers are valid to spend online or in store at Tofu Cute, and also at other UK-based kawaii shops Dreamy Bows and ARTBOX. Gift vouchers can be sent by post or via email as e-vouchers. Click here to buy. More info on how our gift vouchers work can be found here. 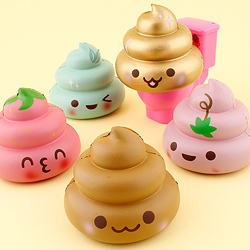 If there are any types of kawaii products you’re looking to buy that aren’t currently stocked at Tofu Cute, please feel free to contact us and we’ll see what we can do! Similarly if you are a distributor or manufacturer and you have a product you think we may be interested in stocking, we’d love you to get in touch with us. Please also contact us if there are items you’ve got your eye on that are out of stock. We can let you know if and when they are likely to be restocked. Many Japanese manufacturers like to discontinue items to make way for new ones, to keep their product lines fresh. 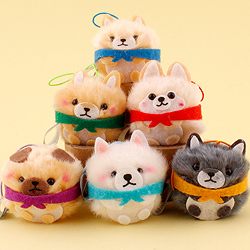 This means there are unfortunately a lot of occasions when an older item cannot be restocked, because it’s no longer being made (particularly with AMUSE plush, and seasonal snacks flavours). However, the good news is we’ll most likely soon be introducing something new that’s really similar or even more awesome than the thing you were originally after!